Everest Rampage KB-R8; Everest growing day by day as the certifier of several successful computer accessories in the world, Gamer are also not ignored. Rampage keyboard KB-R8, gaming keyboard has a classic view from the outside. 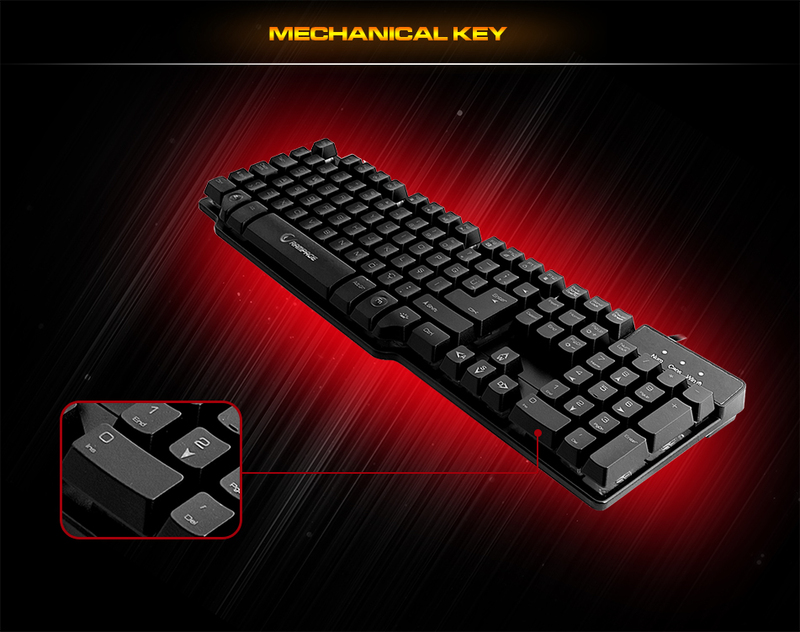 During the game, the players are fully enjoying the games and play with mechanical soft keys to enjoy. Everest Rampage KB-R8; Mechanical keys has been designed With the mechanical keyboard view, The key is to provide the level of sensitivity, a key sentiment very close to the mechanical keyboard. 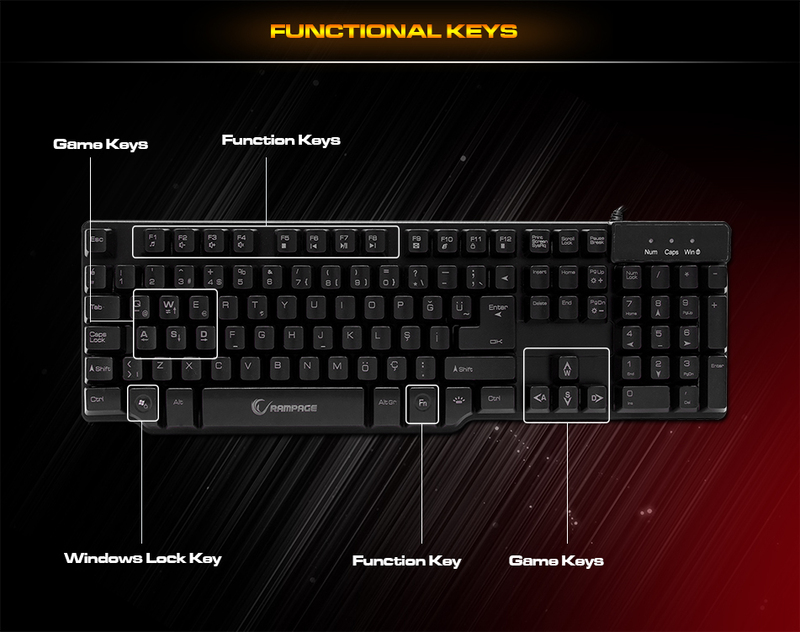 Everest Rampage KB-R8; All operation will be managed from one place through functional keys. You will have no problems while playing games with Windows lock key. 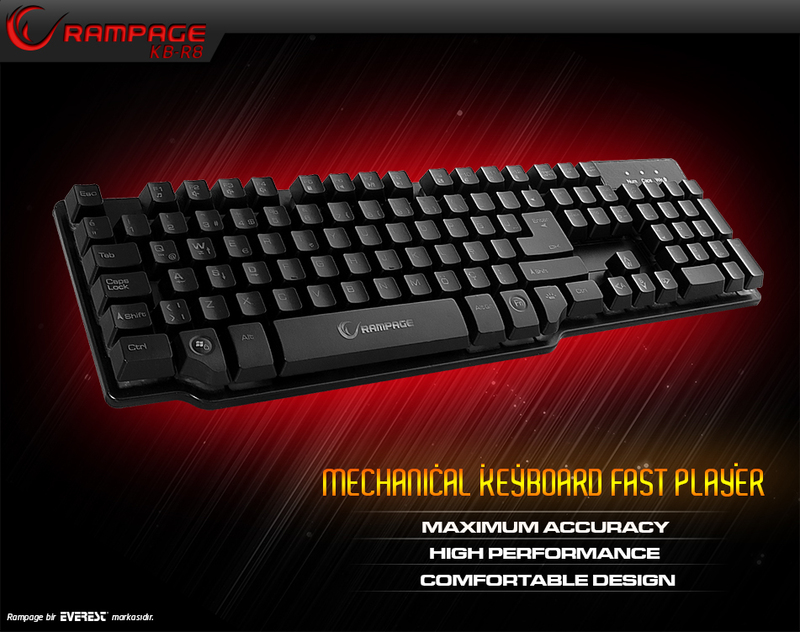 Everest Rampage KB-R8; According to long-time use comfortably designed with care so as not to strain your hands. 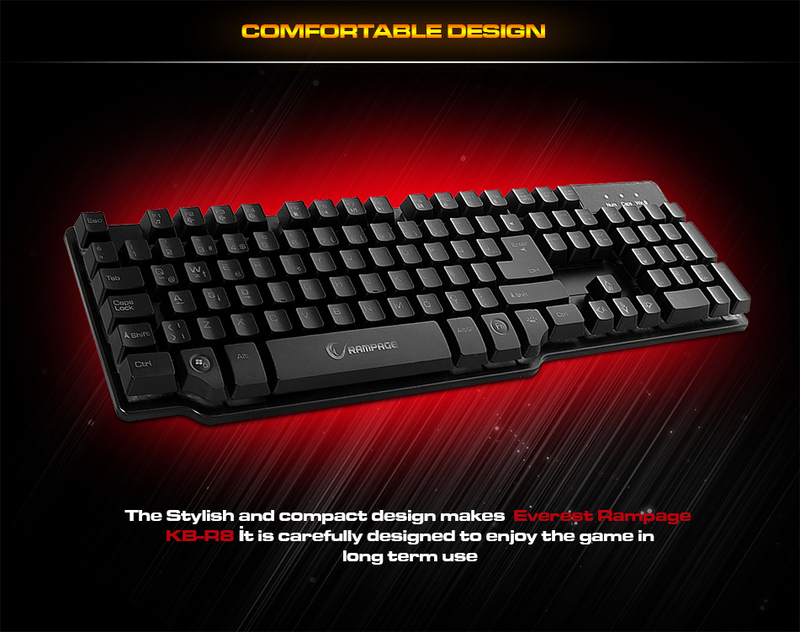 The stylish and compact design makes the Rampage KB-R8, it has been designed in the most appropriate format for you to enjoy the game with long-term use. 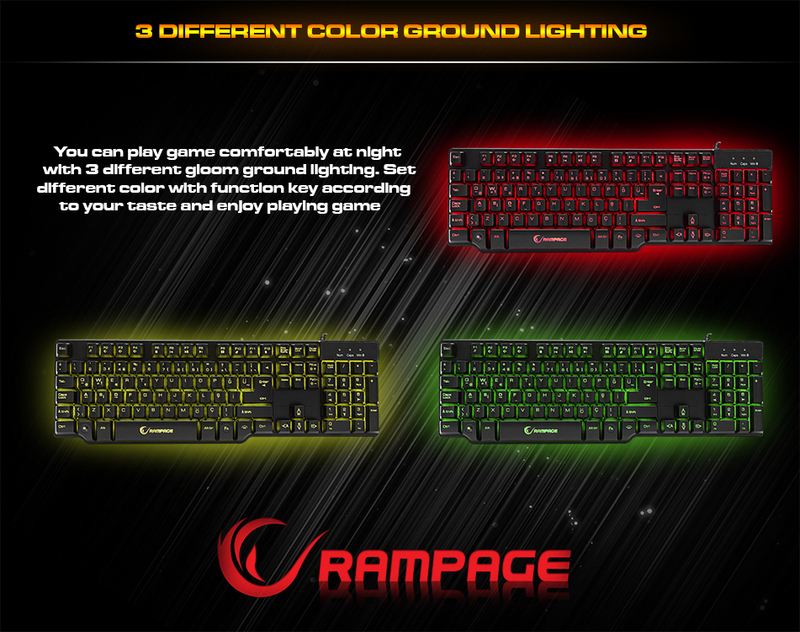 Everest Rampage KM-R8; You can play games comfortably in night or dark condition with 3 different colors backlights. Set different color according to your choice and enjoy playing games.